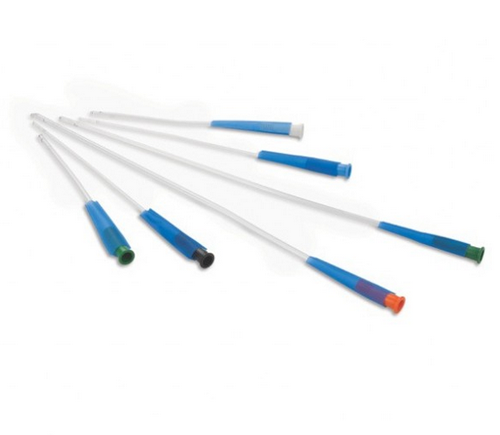 Apogee Intermittent Catheter, manufactured by Hollister, provides the right balance of ease of use and protection for individuals who perform self-catheterization. Self-catheterization can be an uncomfortable, and sometimes even painful, process, which is why you want the smoothest insertion possible. 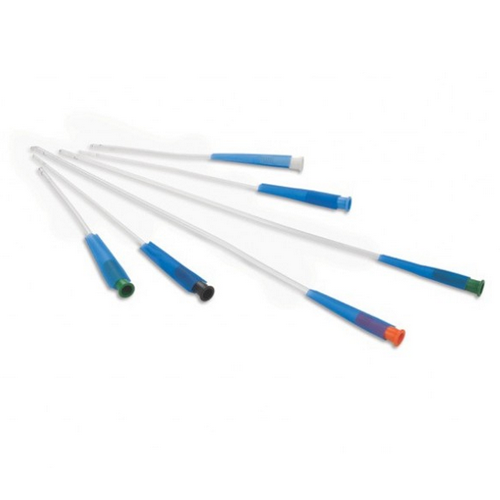 This intermittent catheter has a hydrophilic coating, creating a slippery smooth surface to facilitate with an effortless and easy insertion. 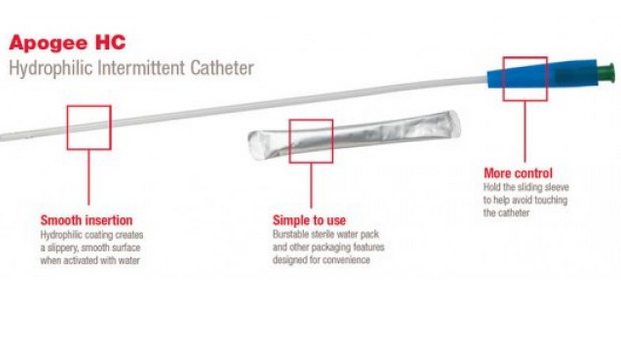 To create the smooth surface, simply combine the catheter with the burstable sterile water pack; the combination of the hydrophilic surface and sterile water is what makes the catheter slick. With its innovative design, the Apogee Intermittent Catheter allows you to have optimal control of the catheter, even while it is slick. Featuring a sliding sleeve over each individual catheter, you can altogether avoid touching the catheter. For proper drainage, you will need to couple this item with a toilet hat specimen collector or urine drainage bag. Order now and find out why so many people turn to Hollister products to manage self-catheterization today! Product Numbers: 90810, 91006, 91010, 91206, 91216, 91406, 91416, 91616, and 91816. Sizes: 8, 10, 12, 14, and 16 French. Application: To drain urine through the urethra.